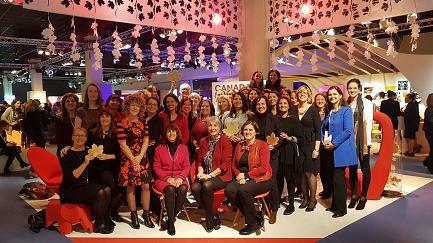 I am filled with pride to be Canadian!® I just spent one week with some of the world’s most amazing woman at the Global Woman’s Forum in Paris. I was invited to speak at the Forum and to join the Delegation of Canadian’s who were treated to some amazing pre-conference experiences. 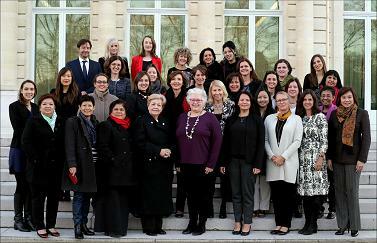 We were hosted at the Canadian Consulate in Paris and joined the Ambassador for breakfast. 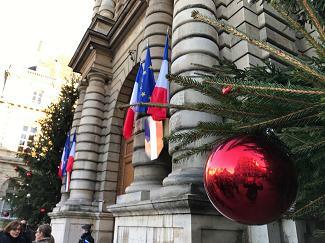 We toured the French Senate and then were hosted for lunch. We networked and built relationships during cocktails and dinner at one of the oldest hotels in Paris. We were given a history lesson during our private tour of Versailles. Presentations were made for our group at the OCED, and innovation hubs. 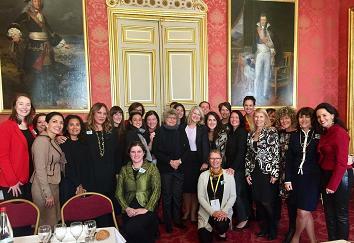 At the conference in Deauville, which followed our tour of Paris, we listened to presentations and panels from woman from all around the world who present not only their experiences, their world views but also research findings on trends and world-wide developments affecting woman today. Amid the stories of oppression and drudgery, there were sad if not shocking stories coming from the ‘so called’ developed nations where given recent choices, discrimination and misogamy are still prevalent and excused. The message was clear that we must not make the mistake in assuming woman (especially woman of colour), have equality in the world today, and we cannot sit back and relax thinking that things have changed. Listening, I realized again that when it is not safe for one woman, it is not safe for any woman, no matter the colour of her skin, where she lives, how she worships, or who she loves. 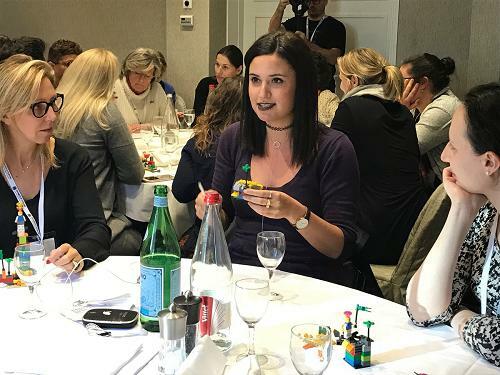 I was honored to be invited to speak and demonstrate LEGO® SERIOUS PLAY® and to present the work we are doing globally to develop leaders. 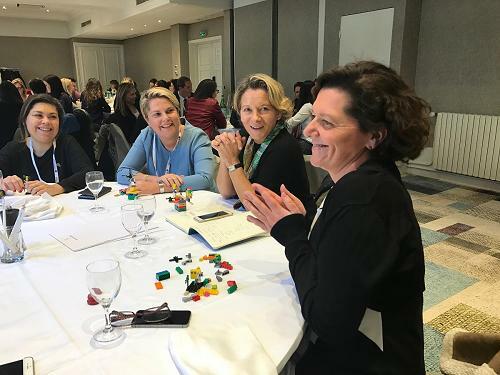 Within the sharing economy – which was the theme of the conference, we presented sharing leadership stories using LEGO® SERIOUS PLAY® methods and tools. We utilized the idea of building super hero LEGO® SERIOUS PLAY® models to drive home the idea that everyone of us can be a super hero – working each day to make the world a better place to live and play. As you can see in this short video below people love to play, build, create, imagine, and share their stories and ideas. Children are not the only ones who learn by playing, once again we illustrated that adults learn the same way and it is when we listen generously to each other and our stories we gain understanding, empathy, create connections, and build capacity! Like many Canadian’s I was not born in Canada. I have been a Canadian citizen since age 10 and feel so fortunate that my parents made the decision and had the ability to make Canada our home. They came to Canada at ages 37 and 42 with very little money but with big dreams of a better life and education for their daughters. They knew then that Canada not only offered a good quality of education but also equal access to education. Canada is not a perfect country and by no means do I wear rose coloured glasses regarding our own issues here at home. Right now one thing that is clearly in focus, the world is looking at Canada for leadership as so many other countries are making choices to support leaders who are selling fear and oppression, hiding privilege behind patriotism and are happy to suppress others to maintain their own self-interest and status quo. Thank you Canada for swimming upstream at this critical time in history. As the world looks at Canada we need to ask ourselves, what can we do right now to continue to lead in a positive way. Are we willing to stand up to bullies next door and on the world stage? Are each of us keenly aware that the decisions we make right now affect not only us, but everyone else within the wider system of the planet? Do we consider that every woman we know has likely had to fight hard to be seen, to be considered, to be heard, and if lucky to be understood? And if that woman is successful do we realize it is because of her vision, her tenacity and her hard work, not luck or association as many would prefer to believe. Yes, even in Canada, the country the world is counting on right now, women still need to fight the good fight and in many cases their biggest oppressors are other women not men (such a sad thought). What examples are we setting in this moment for the girls who are watching us? In what ways might we support another woman in her struggle to be considered, to be heard, to be understood? In what ways might we all see ourselves not as victims but as victorious with a mindset of abundance and unlimited capacity to encourage others? In what ways might we catch ourselves when we fall into the trap of criticizing another woman for being ambitious, or being clear about her goals, and for simply being all that she can be? We would love to partner with you and support your efforts! 'the world is looking at Canada for leadership as so many other countries are making choices to support leaders who are selling fear and oppression, hiding privilege behind patriotism and are happy to suppress others to maintain their own self-interest and status quo. Thank you Canada for swimming upstream at this critical time in history."